A worker cooperative is a democratically controlled business owned by its worker-owners. A worker cooperative is organized to serve the needs of its worker-owners by generating benefits (which may or may not be profits) for the worker-owners rather than external investors. Union Cab Cooperative serves the Madison, Wisconsin area. 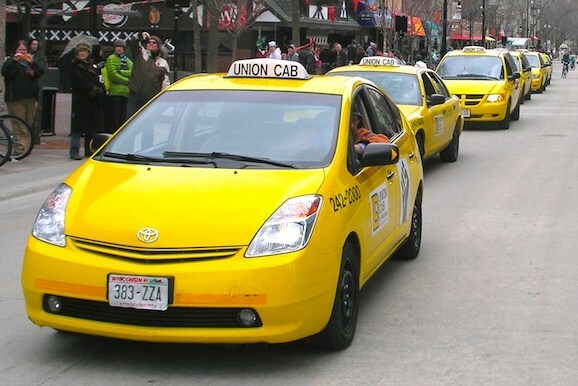 Union Cab of Madison Cooperative is the largest cab company in Madison, Wisconsin and has over 200 worker-owners. Cooperative Home Care Associates is the nation’s largest worker co-op, with more than 1,000 members providing home care in the New York metropolitan area. Rainbow Grocery is the nation’s largest retail worker co-op, operating a natural foods supermarket in San Francisco. In the Northwest area, NWCDC has assisted Circle of Life Cooperative, Peninsula Homecare, and Capital Homecare providing home care services in Washington State, and Blue Scorcher Artisan Cooperative, a bakery in Astoria, Oregon. Most recently, NWCDC assisted Dumpster Values and Business Services Cooperative convert to worker owned businesses. For more information, contact NWCDC at (360) 943-4241 or by email.